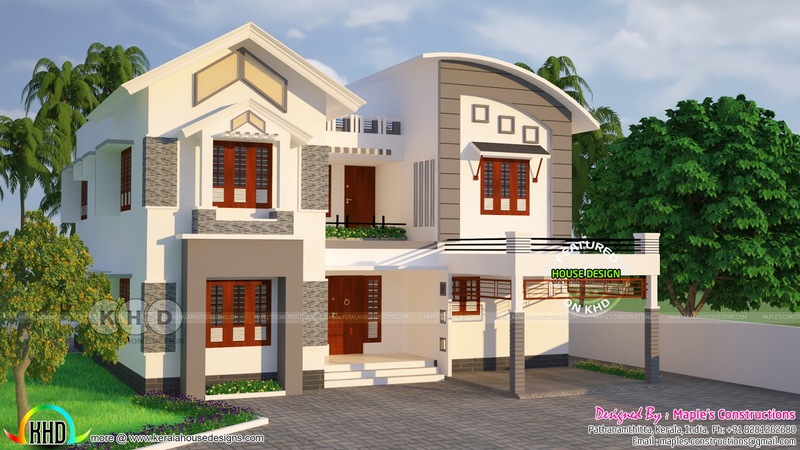 Total area of this double floor modern house is 2624 Square Feet (244 Square Meter) (291 Square Yards). Design provided by Maple’s constructions from Pathanamthitta, Kerala. Ground floor area : 1463 sq.ft. First floor area : 1151 sq.ft. Total area : 2624 sq.ft. 0 comments on "2624 square feet modern 4 bedroom house"